Current Archaeology (CA) Magazine (editor Lisa Westcott) is published monthly by Current Publishing who also produce the bi-monthly Current World Archaeology Magazine. As you’d expect from the differentiation in titles, Current Archaeology concentrates on archaeology in the UK, whilst the World version looks further afield. 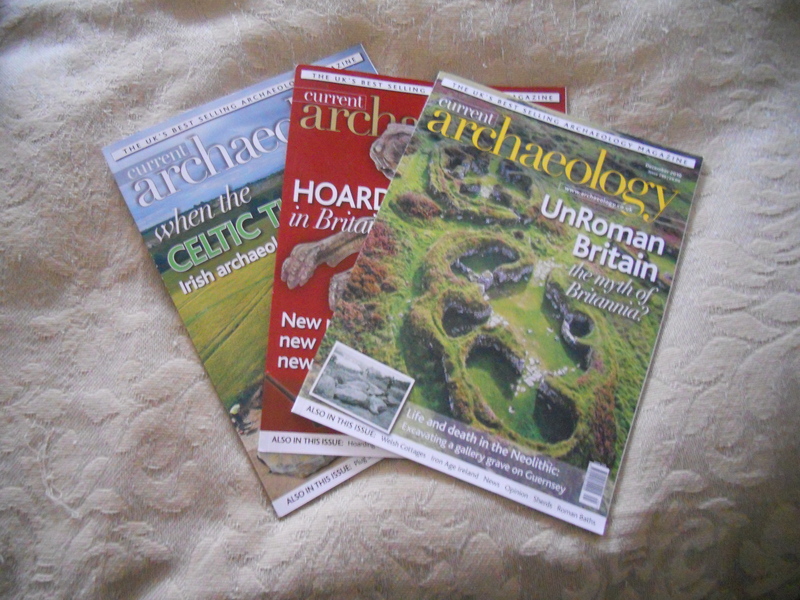 Current Archaeology is available on subscription at £38 for 12 issues. The World version is £20 for 6 issues. A joint subscription costs £50. CA is quite slimline, produced in full colour on high quality gloss paper. Each issue usually focusses on just 3 or 4 main articles as well as the usual editorial and news/reviews sections that you’d expect. The main articles usually provide in depth information about a recent dig or geographic theme – recent editions have included articles on ‘UnRoman Britain’ and ‘British Hoards’. Whilst not written to full academic standards, the magazine can build up into a decent body of reference. Each issue also has a one page article titled ‘Odd Socs’, each issue covering one of the more ‘minority interest’ organisations. The back cover usually contains a GB map with pins to denote the geographical areas covered within the issue. All-in-all Current Archaeology is eminently readable and well worth the current subscription price. I agree – a useful overview of what is going on across Britain. Well worth the subscription!